On behalf of AMHSI we would like to thank the JNF Presidents’ Mission for allowing us to host the Mission participants at our Hod HaSharon campus. The visit included a campus tour (albeit in the pouring rain), meeting our fall semester students, and having a traditional Israeli home-cooked meal while AMHSI staff and students addressed the Mission. The Presidents’ Mission had the chance to attend a class lecture given by one of our veteran teachers, Rona Melnik, which was typical of what students attend throughout their studies at AMHSI. 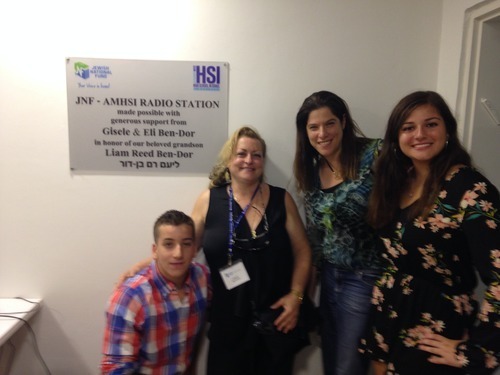 Last year AMHSI received a generous donation from Gisele & Eli Ben-Dor, allowing us to build a brand new state-of-the-art radio station. We had the pleasure of presenting the radio station to Gisele Ben-Dor for first time, as well as interviewing her. Carly Levy and Shlomi Efergan, fall semester students, who take our radio class, were the ones to interview Gisele. The JNF group was greeted by the rest of the fall semester students in the Beit Knesset (synagogue), where Leor Sinai, AMHSI Co-Executive Dicrector) addressed the group with a few points about AMHSI. Following Leor’s address, Cohavit Gil, a fall semester student, talked about how her experience living in Israel has changed her life. 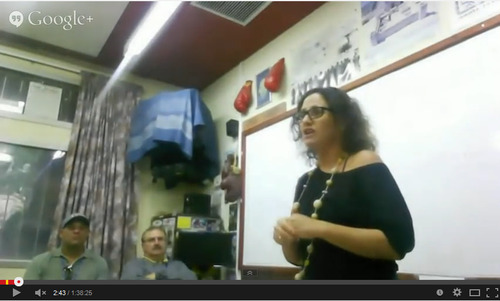 She has also performed a song she wrote as a part of the Zionism seminar the students had at AMHSI. Dinner was a great time for the JNF mission to relax and enjoy the company of the fall semester students. Dinner consisted of a traditional home cooked Israeli meal and sweets to end the night. 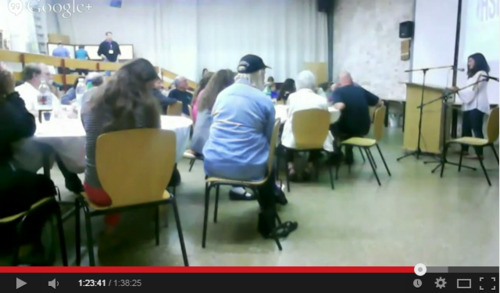 With some of the JNF Mission’s participants scheduled for flights back home to the States, our event came to an end.